India finishes with 1 Gold, 3 Silvers and 2 Bronze at the Shotgun discipline in the recently-concluded ISSF World Championships 2018, held at Changwon, Korea. Here's a recap of the how the events unfolded in the Shotgun discipline. World record holder Alberto Fernandez from Spain, shot 48 clay targets in the final to win the Gold. Varga of Slovakia dropped three targets to settle for Silver. 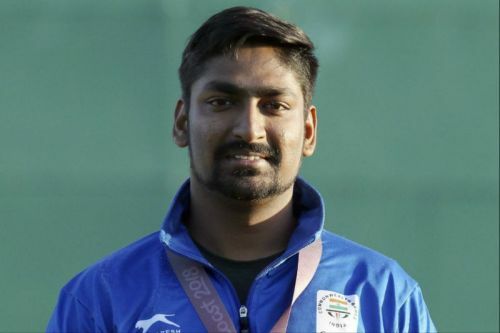 India's Manavjit Singh ended in 25th place while Asian Games Silver medalist Lakshay achieved 35th place. Gold - Alberto Fernandez (ESP) 48 (EWR), Silver - Erik Varga (SVK) 47, Bronze - Abdulrahman Al Faihan (KUW) 32, 4th Place - James Willet (AUS) 28. 25th Place - Manavjit Singh Sandhu (IND) 119, 28th Place - Zoravar Singh Sandhu (IND) 118, 35th Place - Lakshay (IND) 118. Three teams tied for the medal positions in the Team event. Kuwait took the Gold on countback, followed by USA and Italy. 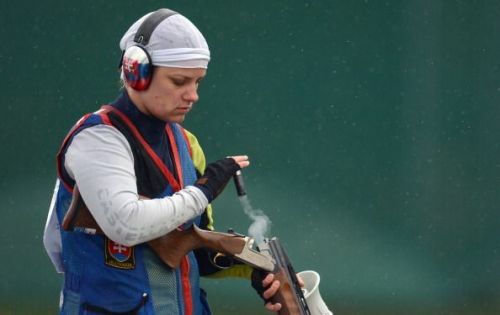 Former Olympic Silver Medalist Rehak Stefecekova won the Gold in Women's Trap after a gap of 8 years. Wang would have obtained the Gold after the Slovakian blew her last shot. The Chinese shooter too missed her final shot and took the Silver. Gold - Zuzana Rehak Stefecekova (SVK) 45 (S-Off 3), Silver - Xiaojing Wang (CHN) 45 (S-Off 2), Bronze - Silvana Stanco (ITA) 36, 4th Place - Laetisha Scanlan (AUS) 30. 34th Place - Shreyasi Singh (IND) 110, 41st Place - Seema Tomar (IND) 108, 42nd Place - Varsha Varman (IND) 107. Stanco helped Italy along with her teammates to a Team Gold with a new world record. Spain took the Silver 1 point adrift of the Italians. 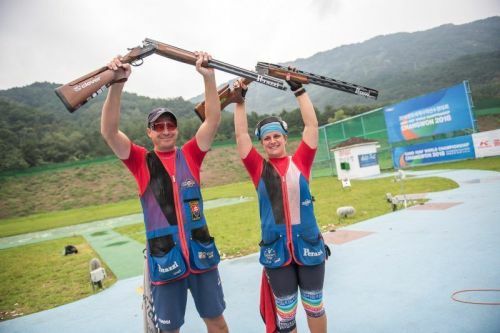 Slovakia, who were the favourites to take the Gold in the Mixed Trap event, did it in style 5 points ahead of Silver medalists Russia.